Country town or metro area the City Backpack performs and promotes at a low cost. 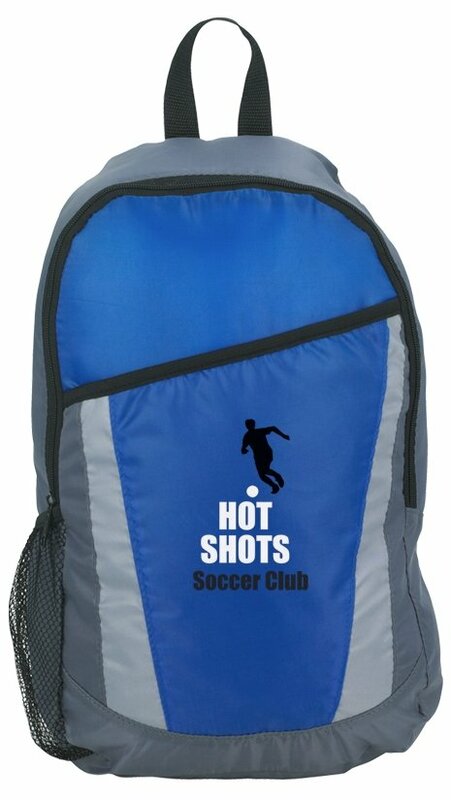 zippered pocket, top grab handle and padded dual backpack straps. Overall size of the City Backpack is 11" wide x 17" high x 5" deep. Delivery from date of an order for backpacks is 3 weeks. Price includes a one color imprint on the front area 3 1/2" w x 7" h.
color add a setup and running charge of $.50 each.